Thank you for registering your 1st - 6th grade child in our Sunday evening and Wednesday evening activities. This form will handle most needs. In the event of a special or off-campus activity, a separate permission form may be required. 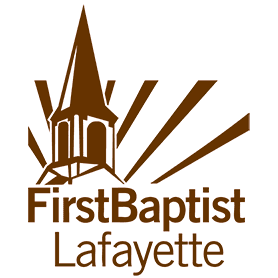 To best protect your children and family, The First Baptist Church of Lafayette, Louisiana, requires you and your children to comply with the following check-in and security protocols. The safety of our children is of the utmost importance to our church. · Adults, please check in your children at a check-in desk. If you have preschoolers, you may check in preschoolers and grade school children at the same desk. If you have only grade school children, please go to the Kid's Ministry desk upstairs. · To go past a check-in desk you must wear a name badge so our teachers and security team can read it. · Adults (18 years and above) will be able to drop off and pick up children. · Children will be received up to 15 minutes prior to your class or activity and should be picked up within 15 minutes after your class or activity. OR, to register a preschool child go to https://www.fbclaf.org.church/psreg.